Blog Amobi Okoye Inspiring with Love + Ladybrille MAN OF THE MONTH! 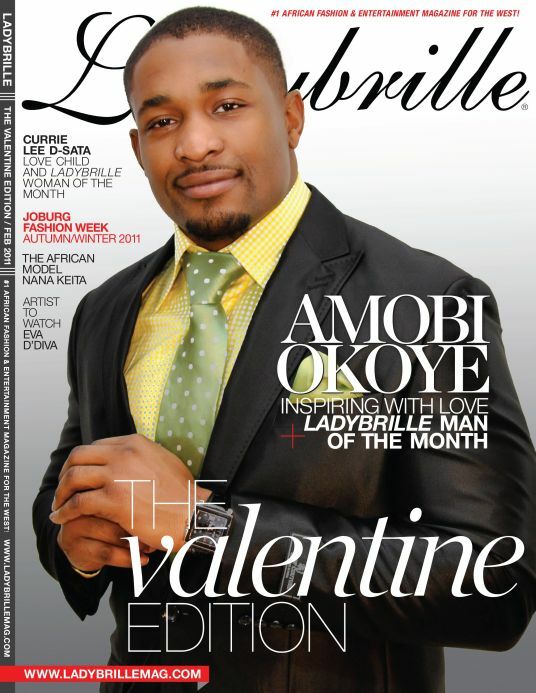 Amobi Okoye Inspiring with Love + Ladybrille MAN OF THE MONTH! “N“ot one to be eclipsed by the breadth and depth of the talent in the NFL, in his budding career Amobi Okoye has managed to shine not only on the field but off as well. The son of two upstanding Nigerian parents Edna, an elementary school principal, and Augustine, a marketing manager for a higher learning institution, Okoye learned early on the importance of a good education. His journey to the United States began in 1997, when Augustine, growing tired of the perpetual economic instability of Lagos, reluctantly left his family and relocated to Alabama in pursuit of the American dream. Though highly educated, he toiled on an assembly line and relied upon charitable donations to make ends meet. After much hard work and sacrifice, Augustine managed to start a medical supply business, and in 1999 when Amobi was 12, the family was reunited in Hunstville, Alabama. During these formative years, Okoye saw first hand how the kindness of strangers impacted the quality of his life and fostered hope in his heart. He watched as his father passed his good fortune on to others volunteering with the very organizations he once leaned on. To this day, Okoye’s sense of appreciation fuels his drive to give back to his community. Around this same age (12), he was introduced to the game of football, which would change his life forever. Through hard work and sacrifice of his own, the young Okoye landed a scholarship to play football at the University of Louisville and at 19, became the youngest first round NFL draft pick in history, signing with the Houston Texans. Now 23, this driven, young athlete and humanitarian has made it his mission to make football the universal language to build better communities from his back yard in Texas all the way to his homeland of Nigeria. In this article, we salute Ladybrille’s February’s Man of the Month and reveal how he has discovered that hope is the gift that keeps on giving. LADYBRILLEmag.com: Amobi, congratulations on being selected as Ladybrille’s Man of the Month for February. AO:Thank you so much for asking me. I am very excited. LADYBRILLEmag.com: At only 23, you have accomplished so much already. At 12, you relocated from Lagos to Hunstville, Alabama where you tested into high school at 12. What was that like? AO: The adjustment was not too difficult, but because of my age, I was supposed to be in middle school while my brothers and sisters went to high school. Being in a new place, it was important to me to be in the same school with my family. So, I worked a deal with the principal. I asked for two weeks to see if I could hang with the classes. I knew the material already, so in the end the teachers recommended that I advance to high school. LADYBRILLEmag.com:: Negotiating deals at an early age, weren’t you? [laughing] AO: [Laughing] Yes I was. LADYBRILLEmag.com: You graduated from high school at 16, finished college in three years, and entered the pros at 19, the youngest player in history to get drafted in the first round. You and your family must have been proud. AO: I was. My parents were too, but they were curious about my decision to attend the University of Louisville over Harvard. Either way, they were supportive of my decision, taking me to workouts and offering me advice along the way. Around sophomore year of college, I began to realize I really had an opportunity to compete at the highest level, the NFL. When it actually happened, it was a great moment. LADYBRILLEMag.com: Did I hear that right? You opted to go to Louisville over Harvard? AO:Yes. Education has always been important to me, but I think in college, high school, and elementary school, I strove for academic [excellence] for my parents and then for me. I was not so excited about attending the prestigious colleges as I was to just get an education like anyone else. Plus, I wanted to play football, and Louisville had a great program. It was the right move for me. LADYBRILLEMag.com: Were your parents supportive? AO: Definitely. My parents are my heroes. They instilled values in me. They raised me [right] and then let me make my own decisions. 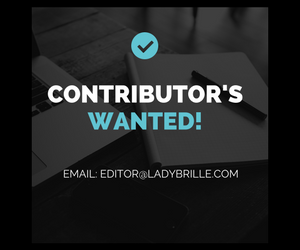 LADYBRILLEMag.com: I know your academic and professional accomplishments get most of the attention, but what would you like our readers to know about you that they may not already? AO: I have a heart for giving, and I started a program to do that domestically and in Nigeria. People don’t necessarily know that. LADYBRILLEMag.com: You mean the Amobi Okoye Foundation? AO: Yes, yes. I wanted to give back in the States and Nigeria. I thought why not introduce American football, which has given me so much success, to Nigeria and Africa as a whole. The game has taught me so much about life, and I want to share it with as many people as I can. LADYBRILLEMag.com: What is the main purpose of the foundation? AO: To provide hope. That is one thing I hung onto as a youth. With hope and opportunity, you never know what you can achieve. A lot of youths here and in Africa don’t have it, so we try to provide [it]. We have many programs including Kick Off for Kids, which offers scholarships to children in Houston, Louisville, and Huntsville for high school and college studies; Tackle Hunger, which feeds between 6,000 and 10,000 needy families in those cities every year; and Changing Africa Through Education (CATE), a work in progress with plans to build a preparatory school in Africa offering sports participation programs and [exchange student opportunities]. I am especially excited about the CATE program in that it has delivered thousands of books along with a free week long medical clinic to rural communities in Africa that may otherwise have neither. These [programs] allow us to give to the communities here and in Nigeria; CATE and Kickoff branch the U.S. together with Africa. The children are tasked with writing about how Africa affects the global economy through sport. The child who writes the best paper will win a trip to Africa in March. It will be our first year to offer this prize, and we are very excited about it. LADYBRILLEMag.com: What do you hope a trip to Africa will offer the children? AO: I hope they will learn to value education. I am sure they value it already, but we hope to spread the connection. You never know how in the future the political, economic, or philosophical connections made from this trip will affect these children [and the world]. I hope to offer them an experience like none they have ever had before. LADYBRILLEMag.com: Why is education so important in a child’s life? AO:You don’t really need it, but it gives you a chance [in life]. Whether here or in Africa, that’s the same. LADYBRILLEMag.com: What are the greatest successes of your organization? AO: Seeing the joy and smiles on the faces of families when their child earns a scholarship to further their education. Also, I love the fun that the kids have at the football camps. Lastly, [I cherish] EVERYTHING we do in Africa. Over there, even a penny can go a long way, so you really feel the joy and happiness of a rural community getting much-needed medical treatment or a chance to learn with the books we provide for them. I am at a loss for the words to express how amazing that feeling is. LADYBRILLEMag.com: Why is football a good sport for our youth here and in Africa? AO: It all goes back to education. In Africa, soccer is the number one sport, but it does not offer the structure that American football does. With football, if you go to college, there are GPA requirements [that keep you on your toes], and you are required to attend college for three years in order to play in the NFL. With soccer, there are no such rules. Football encourages kids to stay on the path and stay away from the negative stuff. It’s great. LADYBRILLEMag.com: You really love the game, don’t you? AO: I absolutely do. I am lucky to be one of the 5% of people who get to do [professionally] what they love. Though, initially I wanted to be a doctor. LADYBRILLEMag.com: Wow a doctor and an NFL player! Will you still pursue that goal? AO: I plan to go to medical school full time around the age of 35 or 37. I am going to start knocking out some of the courses even while I am playing football, whether at a school or online. Football has definitely taught me how to learn more efficiently. LADYBRILLEMag.com: What lessons have you learned through service? AO: You can never really do it on your own, as much as you may try. We [all] need each other. Also, I realized I cannot necessarily reach everybody. But, I keep on going. It motivates me. LADYBRILLEMag.com: Why is it so important to you to give back? AO: I have been on the receiving side of others’ generosity before. When we first moved to America we benefited from Christmas charities and things like that. I have been there and I know what it feels like. Having received, I am motivated to give. LADYBRILLEMag.com: In this season of resolutions and new beginnings, what plans do you have for yourself and the foundation in 2011? AO: For myself, GROW! I want to be a better person and understand life better. I may not reach perfect, but I am always working on it. Also, I want to excel in football for sure and reach the playoffs with the Texans. For the foundation, I want it to grow as well and keep reaching out to the community. I hope to continue to get closer to our long-term goal of connecting the youth of Africa and America. I hope the two can make each other better. Eventually, I would like to take more youth from here to Africa and touch more lives. LADYBRILLEMag.com: What can we do to support you and your mission? LADYBRILLEMag.com: Thanks so much for all that you do here and abroad. You are a true inspiration! Once again, it [is] our pleasure to honor you as Ladybrille’s Man of the Month. AO: Thank you for the honor.